They keep your sleeves in place when layering! Provide additional coverage from snow and cold. Keep your hands warmer without having to wear gloves. Keep the sleeves from riding up while running and hiking. Feel like your arms are constantly being hugged – so cozy! 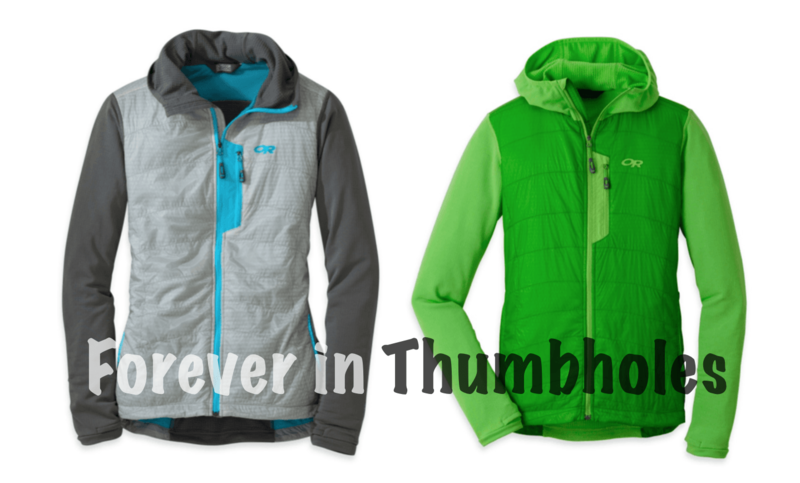 Here are my picks for best women’s outdoor clothing with thumbholes. Or you can always add your own thumbholes to any shirt following these do it yourself thumbhole directions found here. 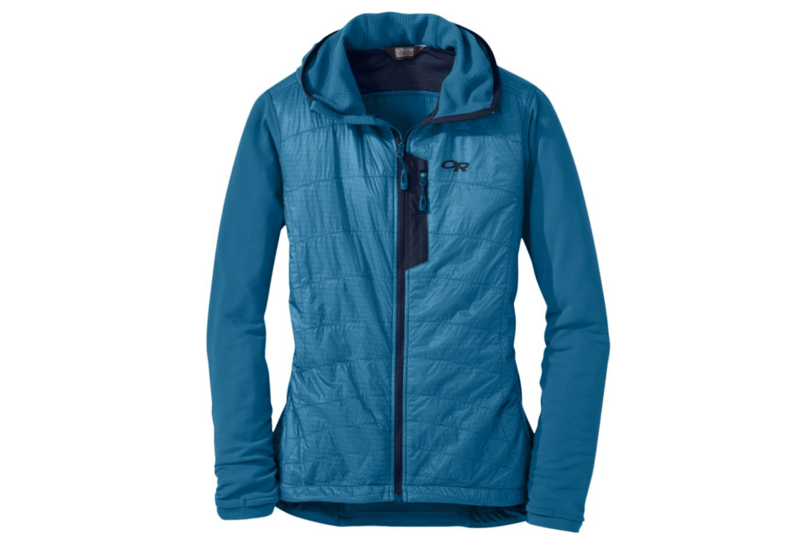 The Smartwool Corbet 120 Jacket is my fave new all-around jacket. 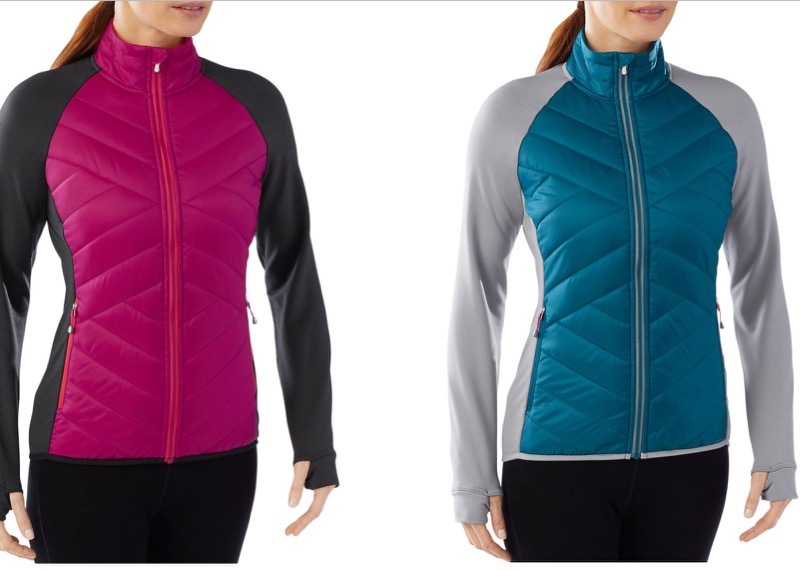 It’s perfect for cold weather running, Nordic Skiing, or just wearing while doing yard work or errands around town. The hybrid design offers a wool insulate front with wind and water protecting panels and plenty of wooly stretch through the arms and back for ease of movement and warmth. The thumbholes are especially comfy and the hand coverage isn’t too long so the sleeves work fine if you don’t want to use the thumbholes. All in all a super comfy, warm, and adorable jacket. It’s no shocker the Outdoor Research Deviator Hoodie received the Backpacker Magazine’s 2015 Editors’ Choice Award for it’s amazingness. 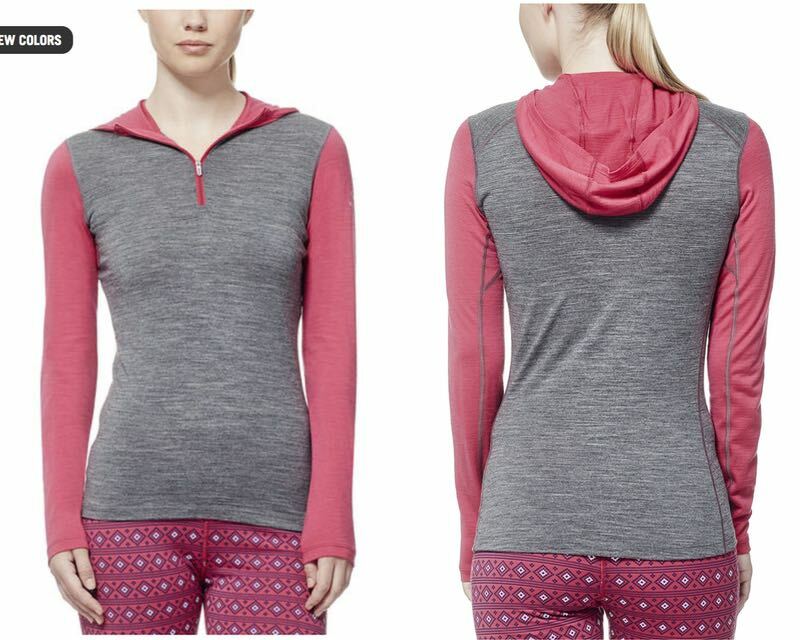 Besides the obvious selling point of thumbholes, this slim-fitting hoodie has super moisture wicking abilities, incredible breathability, a tight-fitting hood, deep pockets, and is so comfortable you’ll never want to take it off. 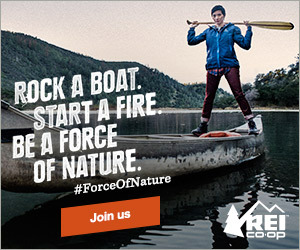 I’ve found it perfect for runs in the 30-50 degree F range and a great midlayer for cold weather adventuring. My love affair with thumbholes (and wool!) began with a worn Icebreaker baselayer inherited from the lost and found at my climbing gym. I wore that purple v-neck everywhere for years before accidentally leaving it behind at a trail race. I just hope the next owner cherished it as much as me! I’ve gushed about my love affair with Icebreaker (I even wear wool thongs!) in many posts before, but let me just say the comfort, temperature regulating superpowers, and ability to reduce stinking is unlike any other fabric I’ve ever worn. And they almost always come with thumbholes! Backcountry’s online catalog is so awesome, you can actually see all the tops with thumbholes they have listed on their site. Plus they’ve got a great 20% off one item coupon going on now and you can typically enjoy free 2-day shipping on orders over 50 bucks. Lover or hater of thumbholes? What’s your favorite thumbhole containing top?